Comments: You may think losing the Europa League Final with five minutes to go or being relegated at Stoke are some of my lowest points supporting Fulham, but one moment stands head and shoulders above the rest – Wigan’s relegation from the Championship. If you’ve ever been cornered by me in the pub or down a dark alley you’ve probably heard me wax lyrical about away trips to the DW Stadium. There’s the ever-present Roy Walker lookalike host welcoming you to the ground, the Phoenix Nights style function room under the stand, and, of course, the famous pies. I missed the delights of Wigan last season, but after their triumphant promotion under Gary Caldwell (who once scored a bicycle kick for me on FM 2012!) a joyous trip to the DW is back on the cards! Having battled through the gridlocked roads of Wigan, I arrived in the Marquee lounge with little time to spare. This tardy timing meant that there mushy pies has run out. Disappointing. Then there was the whiff of panic as murmurs of a pie shortage filled the air. Thankfully, this was mere scandalous gossip and a new pile of pies appeared in the arms of a knight in shining foil. I hoped to test my taste-buds but all that was left was a trusty Balti. 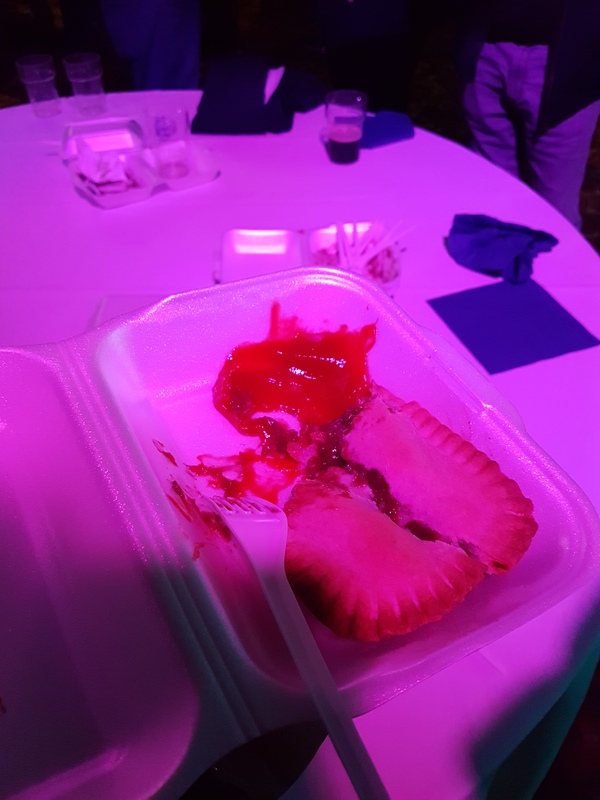 In true Wigan style the pie was plonked upside down in its polystyrene boat so it came to resemble something you’d probably called a “pudding” in the fish and chip shop. Being a contrary sod I flipped it back over, otherwise it would be like opening a crisp packet from the wrong end – sheer insanity. The pie managed the strange paradox of being damp and soggy on the bottom, but dry and crisp on top, with neither section succeeding in its approach. The entrails of the pie were far more impressive as the usual Balti flavour was enhanced by a distinctly spicy edge – enough to tickle you with ring sting in five hours time. 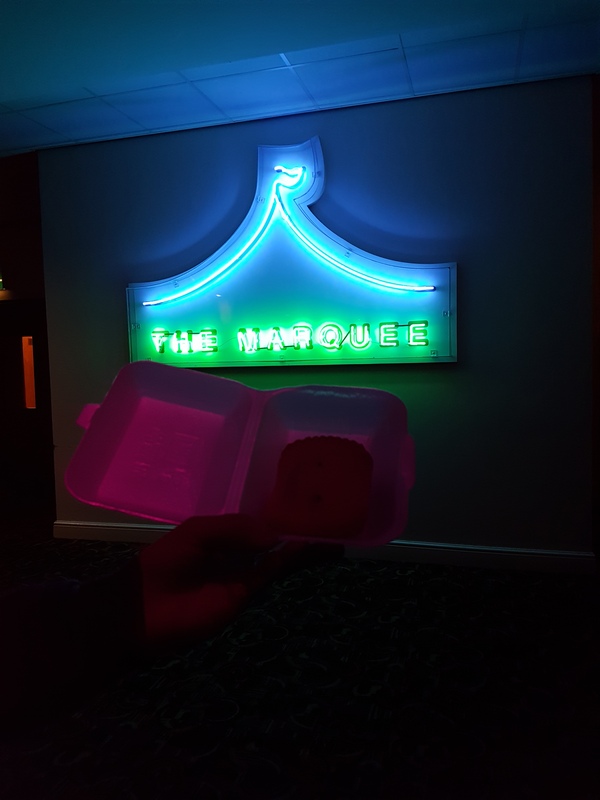 Unfortunately, even in the garish glow of neon lights, Wigan’s pies weren’t hitting the dizzying heights of yesteryear, and neither was the football as we slumped to a 0-0 draw. When you can’t even score against human lamppost Dan Burn then you know there are serious problems up front.